Hire Dancers & Performing Artists in Colorado - DANCE. ART. MEDIA. Want to be part of our DAM Team? ABBY RUSSELL played competitive sports then fell into the land of music, dance, and theatre. She started w/ chorus performances: Fiddler on the Roof, The Producers, then went on to perform as ’The Wicked Witch’ in Shrek: The Musical, ‘Ariel Shaw’ in Footloose, ‘Sister Chantelle’ in BARE, and 'Her' in Absent Grace. Abby studied musical theatre in St. Louis at the Leigh Gerdine College of Fine Arts in Webster Conservatory, focusing on acting techniques, movement/yoga, voice/speech, & daily lessons in ballet & jazz w/ weekly private voice training. Discovering her passion for philanthropy and international affairs, she came back home to CO to major in Social Work & Criminal Justice w/ a minor in Sociology. She continues in the arts performing with the CSU Mainstreet Acapella Group and her upcoming performance as 'Ronnette' in Little Shop of Horrors in the CSU Theater Program. ALICIA HAMMACK has been dancing since she was three years old and it has always remained one of her strongest passions. She has trained in a wide variety of dance styles and among her favorites are Musical Theater, Jazz, Contemporary and Tap. She studied Dance, as well as Biochemistry, at the University of Colorado at Boulder and graduated in May of 2015. Her mentors include Jenny Schiff, Chris Harris, Erika Randall and Jessica Page. 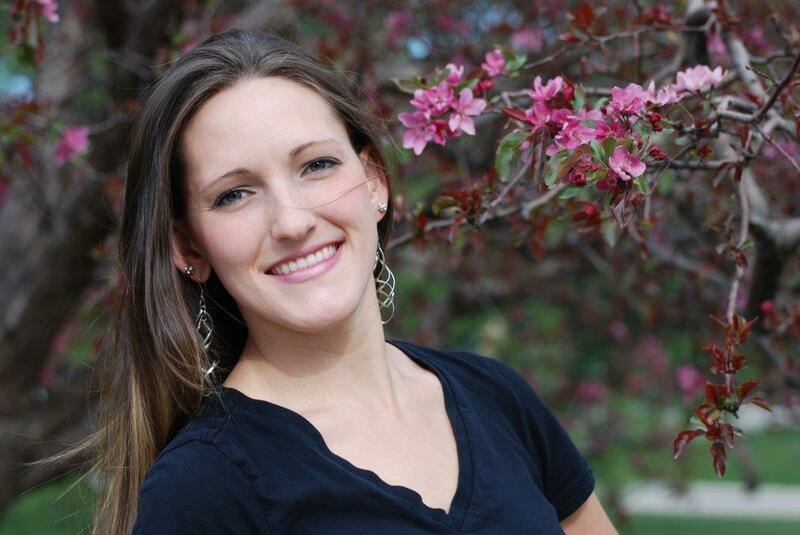 Ms. Hammack is currently a kickboxing instructor while filling her days with dance and yoga. ALLY THOMPSON is well trained in a wide variety of dance forms - ballet, jazz, contemporary, and hip-hop. She began her training in Colorado Springs with Dance Unlimited and danced competitively for many years. She is pursuing an elementary teaching license from The University of Colorado, Boulder, while simultaneously minoring in dance. Ally focuses her dancing on the stylization of movement and demonstrating effortlessness in execution. Ms. Thompson has a passion for education and using dance as a tool for assisting in the learning of all different subject matters. CHELSEA MAGYAR is a performer, choreographer, and lover of movement. She has trained in a diversity of dance styles, including, but not limited to: jazz, lyrical, contemporary, hula, contact improvisation, salsa, ballroom, jitterbug, and lindy hop. She will graduate from the University of Colorado Boulder in May 2019 with a BA in Communication and a Dance minor. She is excited about combining research, dance, and social issues to build community, create connection, and inspire transformation. She has danced with Premier Academy of Dance, Chase the Music, EXPAND, and Arthur Murray, and in summer 2019, will travel to Columbia with JuntosAbroad to teach and perform. CORINNE WILSON is a working dancer and choreographer from Littleton, Colorado. 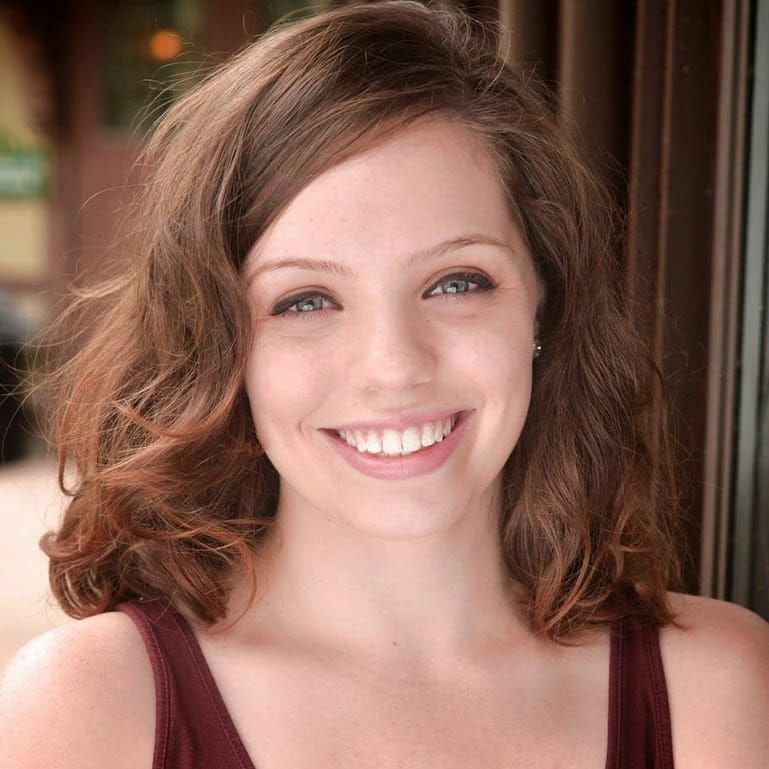 Corinne has a BFA in Dance Performance and Choreography from Elon University. She has studied dance for over 20 years, emphasizing in jazz, tap, ballet, and contemporary, and has choreographed and taught for nearly a decade. She has participated in the Rockette's Summer Intensive at Radio City Music Hall for five summers and interned for McDonald Selznick Associates, one of the top dance agencies in Los Angeles, California. She has taught around the nation and spend the summer 2018 teaching at the Independent Theatre Workshop in Dublin, Ireland. Her dance films have been viewed nationally and internationally including cities such as Nagpur India, Denver Colorado, Los Angeles California, and Greensboro North Carolina. She is a passionate choreographer and has done extensive research and choreography of classic jazz technique, helping to further educate the field in that area. Corinne has performed with D.A.M. since October 2018 and has loved every minute! DAVID SMITHEY With a heavy background in gymnastics and musical theatre, David began his formal modern dance training at Barbara Ellis Studio of Dance in Colorado Springs before attending the University of Colorado at Boulder. Studying under Erika Randall, Gabe Masson, and Nada Diachenko (to name a few), and graduating with a Bachelor of Fine Arts, he went on to dance professionally with the Hannah Kahn Dance Company. David has performed as Laurie Lawrence in the musical production of Little Women and as Angel in RENT, which garnered him a nomination for Best of Boulder: Best Supporting Actor. DILLON COLAGROSSO has been a performer since an early age with experience in musicals, plays, on-camera work, and playing music. He's studied musical theatre and acting at the University of Colorado Boulder and the Chicago College of the Performing Arts. His dance training includes musical theatre, ballet, tap, jazz, tribal fusion, and hip hop, studying from teachers such as Erika Randall, Donna Mejia, Lauren Beale, Helanius Wilkins, Morgan Mulholland, Amanda Benzin, Debbie Vecchiarelli, and Christi Kerr. Dillon will receive his BFA in Theatre Performance and a minor in Dance following the spring of 2017. Most recently, Dillon has performed in world premiere musicals and dance shows in Colorado, Illinois, and Indiana. KAITLYN NICOLE LAWRENCE is from Colorado and has been dancing since she was three, studying dance styles ranging from tap, modern, contemporary, ballet, jazz, and hip hop. Kaitlyn holds a Bachelor of Fine Arts in Dance with an emphasis in choreography and a Bachelor of Arts in Neuroscience from the University of Colorado Boulder. At CU, she had the privilege of studying under nationally recognized artists such as Erika Randall, Helanius J. Wilkins, Michelle Ellsworth, and Gesel Mason. Kaitlyn attended the American College Dance Association Northwest Regional Conference three times throughout her college career and had the opportunity to showcase her choreography at the 2017 conference in Eugene, OR. In addition to performing, Kaitlyn worked on the Dance Production Staff at CU Boulder for over four years as a stage manager, lighting designer, and technician. She has stage managed several shows around the country, including the 2018 conference of ACDA and for the world premier of Helanius J. Wilkins' A Bon Coeur in Washington D.C. Kaitlyn currently teaches at various studios in the Denver area. KYLE LARKIN ( a.k.a. Feathers ) is a B-Boy hip-hop dancer, performer, and music producer from Denver, Colorado. He happily teaches dance classes and represents Block 1750, a community based dance center and studio located in Boulder, Colorado. His main mission within the field of dance, is to foster higher levels of creativity, freedom and strength from his students and from those that watch him practice his craft. LAUREN RUSSELL is an actress, singer, and dancer. She studied dance and theatre at Colorado Mesa University, and graduated from the musical theatre conservatory program at the American Musical and Dramatic Academy in NYC. Lauren has been dancing for fourteen years and is well-trained in jazz, ballet, theatre dance, contemporary, lyrical, modern, and tap. She also has experience teaching dance to children, and directing and choreographing for children's theatre. Recently, Ms. Russell returned to Colorado and is excited to continuing pursuing her performance career in Denver. LILY MINKOWITZ is a senior at the University of Colorado at Boulder, majoring in dance and minoring in theatre. She holds the executive board position of Panhellenic Affairs Vice President of her sorority Gamma Phi Beta. Dance has and continues to be Lily's passion. She began her formal training at ﻿D'valda & Sirico Dance and Music Theatre ﻿in Fairfield, Connecticut, where she trained and preformed in their Company for fifteen years. From Westport, Connecticut, Lily is well trained in ballet, jazz, lyrical, musical theatre, tap, and modern. Following her upcoming graduation in May 2017, she plans to move to New York City to pursue a career in dance. MARIAH SALAZAR holds a BA in musical theatre from the University of No. Colorado and has studied in master classes w/ Jeff Whiting, Josh Buscher, Deidre Goodwin, and many more. Mariah has 17 yrs of ballet training, pointe 2 yrs, jazz, tap, and contemporary experience. Two years with Colorado Dance Collective Jazz Company and she's performed for Electronic Dance Music artists Benny Benassi, Tiesto, Secen Lions, and venues in Las Vegas, The Great Saltaire (SLC) and Red Rocks Amphitheater. Ms. Salazar can be seen in the upcoming Hulu series "Bloom" as Jennifer Carlisle and the currently airing Bellco Credit Union commercial. MARISTEL RAZO HERNANDEZ is originally from Pachuca Mexico. At the age of 14, she began her formal ballet and contemporary training from the State Council for Arts and Culture in Hidalgo, Mexico and went on to work w/ dance companies Ave Danza and Cuerpos Hibridos. She attended a scholarship semester at the University of Chile and graduated in 2011 from the Autonomous University of the State of Hidalgo w/ a Bachelors degree in Contemporary dance. She then joined multiple dance companies at resorts around the Mayan Riviera, performing for 3 years in theatrical productions w/multiple styles of dance. This period was when she became passionate about Aerial Dance. So, she joined Frequent Flyers Professional Training program and completed that certification in May, 2016. NATE CHRISTENSEN is currently a senior in the BFA Performance program at CU Boulder, where earlier this year he performed in a dance show entitled Catapult. His most recent role was as Peter in Peter and the Starcatcher, also at CU. In his free time Nate plays music and spends as much time outside as possible. Upon graduation he plans to move to New York City to pursue a career in the arts. OLIVIA DWYER is Based in Boulder, Colorado, and received a double B.A. in Dance and Sociology from the University of Colorado at Boulder. During her time at CU-Boulder, she has had the opportunity to work with dance artists such as Erika Randall, Michelle Ellsworth, Nada Diahencko, Lauren Beale, and more. Although a native of Colorado, she has also worked with national dance artists such as Mary Margaret Holt, Stacey Tookey, and Faye Driscoll. Olivia is a performing dance artist inspired by the power of movement in the body to evoke social justice and change. She hopes to continue dancing and eventually pursue law, social work, or dance movement therapy. Her website can be viewed here. ROCKSHANA DESANCES is a former cheerleader for the U.S.A Ski Championship team, a dancer of Exhibit M and has performed for Elitch Gardens. She began her dance studies in Norwalk, CT where she took classes in ballet, modern, tap, lyrical, contemporary, musical theater and hip-hop. Rockshana earned a BFA in Dance from Long Island University Post where she studied African dance and the Djembe drum. Having the opportunity to be a member of the Post Concert Dance Company, she's been able to work with numerous prominent choreographers. With PCDC she choreographed for the "Diversity" production, featuring a piece with the BalaSole Dance Company. Rockshana has a strong passion for dance and offers workshops in many different genres. ROSE METCALF hails from the U.K. and started dancing before she could walk! She holds a First-Class Bachelor of the Arts in Theatre-Dance from the University of the Arts, London as well as teaching qualifications in Ballet, Modern and Tap with the Imperial Society of Teachers of Dancing. Rose enjoys singing, dancing, acting and recording voiceovers internationally. She specializes in Flamenco, is a qualified sword-fighter and assistant to the winner of the Magician’s Circle. She won the ‘Seafarer of the Year’ award for helping more than 300 passengers to safety when the cruise ship, the Costa Concordia, she was dancing on sank! Rose loves performing and has especially enjoyed playing Sleeping Beauty, Sheila in A Chorus Line and Phyllis in 42nd Street. SOPHIA PHILLIPS is a California-born dancer. She began her dance training in aerial dance at the Santa Barbara Centre for Aerial Arts. Sophia studied at the Centre for 8 years and performed with the associated company nationally & internationally from 2010–2015. Her love and awe of the human body led her to pursue a bachelor’s degree in Integrative Physiology from CU Boulder, in addition to a BA in Dance. Once in Boulder, Sophia expanded her dance education to include a myriad of forms including modern dance, hip-hop, improvisation, and Brazilian dance, which she currently studies and performs w/ Samba Colorado. STEPH HOLMBO is a dancer, actress, choreographer, singer, and poet who earned her BFA in New York at Tisch School of the Arts at the Atlantic Theatre Company. After graduation, she continued to live in New York City creating with NYU's grad program and Mitra Dance Collective performing at several off-Broadway theaters. She is a feisty, inventive, and wily performer, unafraid of obstacles and challenges. With her movement and voice, she engages her audience by forcing them to ask questions about their own story and the bigger story they play a part in. Specializing in musical theatre and contemporary, she has been performing for over 20 years, as well as choreographing and teaching for 16 years. She currently lives in Denver creating curriculum for studios from Denver to Commerce City to Vail. Her website can be explored at www.stephholmbo.com. 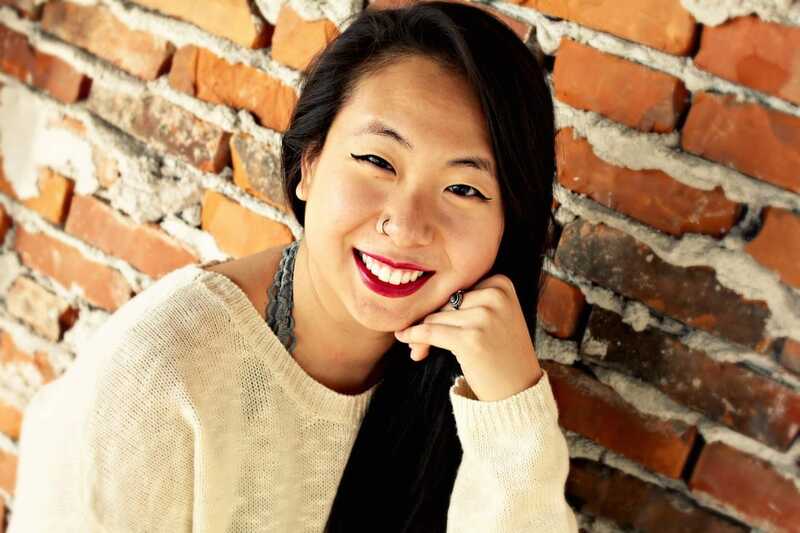 VIVIAN KIM is a Nebraska native who came to Boulder, Colorado by leeway of Cincinnati, Ohio. Vivian received her Bachelor of Arts in Dance degree from the University of Nebraska Lincoln, under the instruction of Susan Levine-Ourada. While at UNL she had the opportunity to perform works choreographed by Jenna Riegel, Kayvon Pourazar, Kendra Portier and others. Currently, she is a second-year MFA candidate in the Dance Division at CU Boulder with a secondary emphasis in the Alexander Technique. Vivian is a performer, choreographer and dance educator who uses dance as a form of communication, education and healing.